Digital Disruption is a serious issue facing every business. Few if any businesses are currently prepared to do anything about it. This blog is another warning for you to do something NOW! 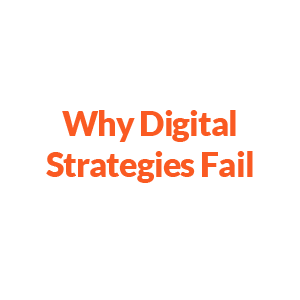 A recent McKinsey report, Why Digital Strategies Fail, reveals major concerns for business. Only 8 percent of companies McKinsey surveyed, feel their current business model would remain economically viable if their industry continues to digitize at its current course and speed. 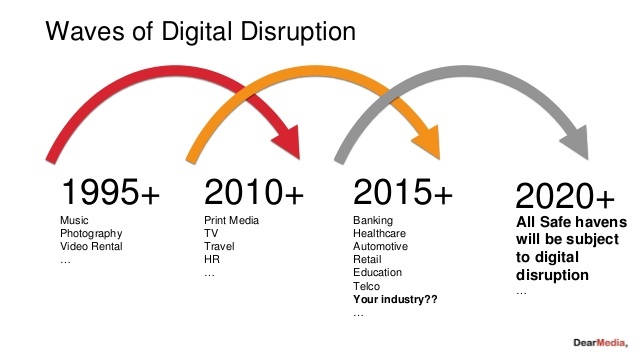 Is there any question, digital disruption is going to continue? The biggest concern isn’t really about strategy. Most business aren’t prepared, nor are they even considering a viable strategy! When it comes to a Digital Strategy the problem is - You don’t have one! Read the McKinsey article to understand of the full meaning threat you are facing. Your business needs to develop a strategy NOW for Digital Disruption. In Decisions Equal Success – Do You Face a Survival Decision?, we shared how decisions you make determine your success. 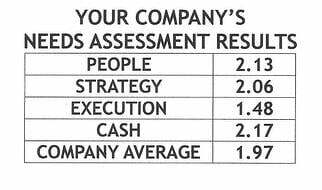 You’re facing a critical decision point on the future of your business. If you don’t, there’s no reason to expect your business will be around in the next 5 to 10 years. Digital is destroying economic rent - Digital is confounding the best-laid plans to capture surplus by creating—on average—more value for customers than for firms. Digital is driving winner-takes-all economics - Just as sobering as the shift of profit pools to customers is the fact that when scale and network effects dominate markets, economic value rises to the top. (Apple’s iPhone captures 90% of smartphone industry profits) The negative effects of digital competition on a company’s growth in earnings before interest, taxes, depreciation, and amortization (EBITDA), are twice as large for the bottom three-quarters of companies as for those at the top. Digital rewards first movers and some superfast followers – In the past, a rational strategic response was to observe, letting others incur the costs of experimentation. In Digital Disruption, first movers and the fastest followers develop a learning advantage. They relentlessly test and learn, launch early prototypes, and refine results in real time—cutting down the development time in some sectors from several months to a few days. Waiting is no longer an advantage. Overlooking ecosystems: We’ve shared many tactics and strategies in the Outthinker Process. Two strategies the Outthinker Process employs, Force a Two Front Battle and Move Early to the Next Battleground, explore these opportunities. Platforms allow digital players to move easily across industry and sector borders destroying the traditional model with familiar lines of sight. Grocery stores in the United States, for example, now need to aim their strategies toward the moves of Amazon’s platform, not just the chain down the street, thanks to the Whole Foods acquisition. Amazon’s move into drugs is forcing the same dilemma for drug stores. Over indexing on the “usual suspects”: Most companies focus on the threats posed by digital natives. They get most of the attention, McKinsey’s research discovered revved-up incumbents create as much risk to the revenues of traditional players as digital attackers do. It’s often incumbents’ moves that push an industry to the tipping point. That’s when the ranks of slow movers get exposed to life-threatening competition. This means? You need to be a first mover. Missing the duality of digital: The most common response to digital threats we encounter is the following: “If I’m going to be disrupted, then I need to create something completely new.” While this may be the driving impetus for strategy, for most companies, the pace of disruption is uneven. You can’t just walk away from existing businesses. You need to digitize your current businesses and innovate new models. This is exactly what The Outthinker Model See the second exhibit in Why Digital Strategies Fail for an example of how to respond to the pace of change with the degree of change to make. This is why Growth demands Strategic Discipline. Digital Disruption is here. If your business is not doing anything to move in the direction for a digital strategy, you are already behind and at risk of being obsolete. Positioning Systems will coach your leadership team through The Outthinker Process, to provide you with a digital strategy. McKinsey’s research sheds new light on Adam Grant’s book Originals premise Procrastination can be strategically helpful and why there is an inherent disadvantage to be first. We’ll share Grants research, and why waiting may no longer be an option. Next Blog.